The next batch of fixtures from these leagues are coming up starting tomorrow and carrying on through to the Easter weekend. 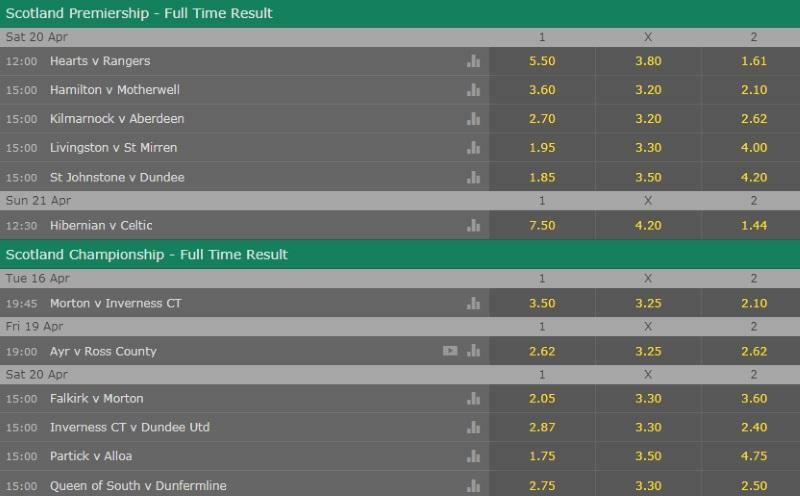 Check out the odds and ratings then let us know your chosen tips for these games. i don't know if you fancy this one boys but i thought i throw it here. watch out for early kick offs and if they lets us down you can re-stake your remaining selections. very difficult matchday with crucial matches We have derby`s, we have match points, we have strange matches. Especially in league two looking the Yeovil and Macclesfield games. We see at the next days. 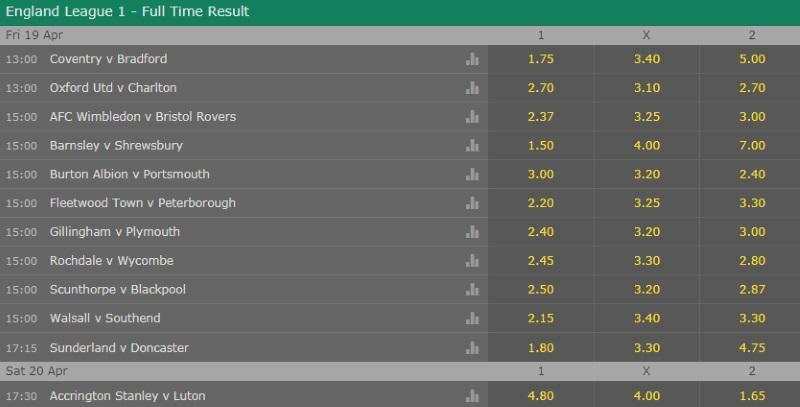 League One has a full range of matches coming at us on Good Friday and the stand-out pick in terms of value has to be the match between Coventry and Bradford that is scheduled for a 1pm kick-off at the Ricoh Arena. It's really difficult to see past a home win and it's a bet that shouldn't be ignored at this price. Coventry have served us well so far this season. @skyblues88 will know this. Mark Robins has turned his side into a team that flirted with the prospect of a play-off push. The Sky Blues are now in 8th place and 8 points off the pace with 4 league games to go so it looks like they'll fall just short but with just 1 loss in their last 6 league matches they're not ending the season on a downer. Granted, they have only won 1 of their last 4 matches but the last game was a stunning 5-4 away win over Sunderland. Bradford are going down without a fight. The Bantams could have their relegation confirmed here with the club bottom of the table and 9 points adrift of safety with just 4 league games left to play. Defeat here would at the very least leave them on the brink but would most likely result in them going down. It's now 6 league defeats on the bounce for Gary Bowyer's side and they should already be preparing for life in League Two next season. Even though Coventry don't have an overly positive home record, Bradford have lost 14 of their 21 away league games this season. They've not tasted a win on the road since 29th December, 2018. Off-field issues might be blamed as a distraction for Coventry but they really should dispatch of this awful Bradford side here. @Papa Lazarou, @freestylerx, @allyhibs, @iBetting, @betcatalog, @Magic0024, @malabgd, @kulikTS, @golakeh1, @Unnamed, @willie82, @dogmeister, @TheEdge, @JJG, @allthethings, @Mindfulness, @the bastardian, @teddybear3011, @Marek76, @salmonman, @Unnamed, @mij0sim, @jazzman02, @Bobby Vegas, @Teodore, @Tiffy, @nenri981, @MangoTheThird, @Johnmccain, @Papa Lazarou, @VYA, @THEODORE-007, and @sajtion, what bets are you guys all placing on these matches this weekend? Something keep me away from Yeovil and Macclesfield. Smell a lost game for both of two. I say to play on Scnuthorpe tommorow but blackpool has a full team. I believe to the Exeters win too. All the other match are unstable and we haven`t strong high odds values in my opinion. Inside my club the last and stronger choice for me.